No matter what you do, whether you are right or not-so-right your Miniature Schnauzer puppy will, without doubt, be your constant companion. He will be there to greet you when you arrive home at the end of the day and he will follow you around the house and garden when you are at home all day. Your puppy will be a good guard dog, constantly protecting you and your family. 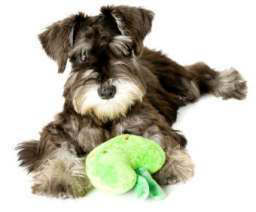 Your Mini Schnauzer is extremely loveable and takes delight in participating in family life. With all that said, this little bundle of fun will have much to learn and with careful training he should be all that you desire in a dog. And best of all, when you have a good understanding of your puppy’s temperament, managing him should be a true pleasure. 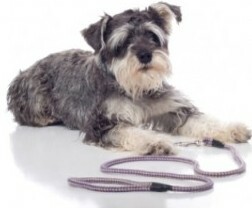 The Miniature Schnauzer may be possessive of his toys and food even though he is good with children, so care needs to be taken when playing with puppy, and at his meal times. He is fond of chasing anything smaller than himself and likely to give cats and rabbits a troublesome time. Daily grooming of your Miniature Schnauzer puppy is necessary and professional grooming should be done every 6 to 8 weeks. With regard to health the Miniature Schnauzer may have a tendency to eye, liver and skin problems. Any indication of such problems should be referred to a Veterinary Clinician. Diet is of utmost importance and keeping your puppy’s weight under control is a major factor in maintaining his health. Although we love to see our pets enjoy their food every bit as much as they enjoy eating, it is of major importance not to over feed our puppies as overweight is totally detrimental to their health. So good training from the start goes a long way towards your Miniature Schnauzer being happy and healthy from a puppy right through to his mature years. You can be sure he will love learning & pleasing you! Training Mini Schnauzers, or another breed of puppy, to sit and stay are basic and valuable learning skills not only in the results of puppy responding to your commands, but also in puppy learning right from the beginning that you are the pack leader. As the owner of your puppy you are, and always will be the pack leader and your puppy will, throughout his entire life, follow, respect and obey your commands providing that you learn and always demonstrate the correct skills of pack leader. So if this is your first puppy you have skills to learn as well. Your puppy’s behavior will be as good as your commands. I’m not suggesting that you expect perfection from your puppy at the start as it will take time for him to learn but, like children, puppies learn quickly. The following is a list of skills and habits that your puppy will need to learn so I suggest that you start with ‘Sit’ as your puppy will enjoy learning that skill and at the same time, learn to obey your commands. And, of course, Diet and Grooming are of vital importance to ensure your puppy remains healthy. This is intended as a guide to introduce you to training a Miniature Schnauzer whether you have already adopted or are still in the process of deciding to adopt a dog or puppy, and wondering whether or not the Miniature Schnauzer breed is the right one for you.